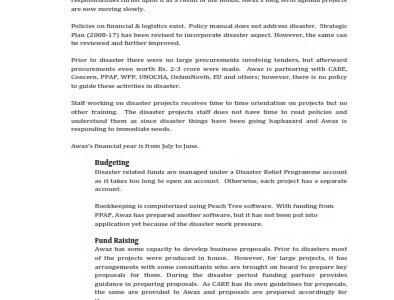 required changes to existing mandates, and how to cope up with the long term institutional change process? Keeping in view this perspective, The Asia Foundation (TAF) collaborated with Human Resource Learning Center (HRLC) to carry out capacity assessments of its implementing partner organizations that together form the Free and Fair Election Network (FAFEN), a nation-wide network of 32 civil society organizations. 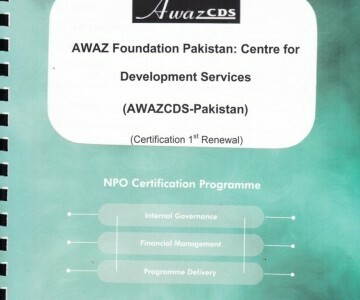 AWAZ CDS, a member of FAFEN, is an implementing partner of the project titled Strengthening Transparency Accountability and Electoral Processes in Pakistan (STAEP). 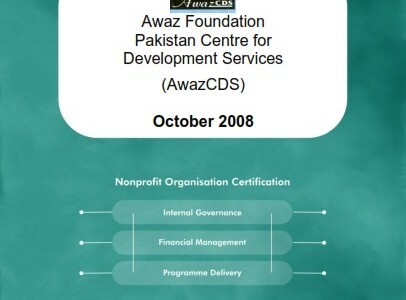 The purpose of the assignment was to conduct a detailed organizational capacity assessment of AWAZ CDS in order to identify needs and areas of improvement as well as develop a capacity building plan for the organization. The acquired information will help in identifying specific areas for capacity building and technical assistance for enhancing productivity, efficiency and improving quality aspects towards achieving desired results.